The Royal Court is a 4-star resort in Bhimtal, offering luxury private apartments and royal rooms with panoramic views of the hills. The Royal Court revives the princely lifestyle of royal maharajas and offers consistently high standards of facilities and services. With Tranquil surroundings, Luxurious rooms and supreme services, the stay at the Royal Court hotel cannot be compared with any other resort located nearby. For business travellers and corporates, the hotel have a business centre and a conference hall with an executive lounge. 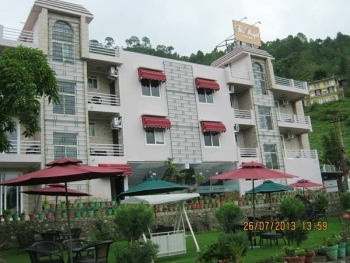 Royal Court hotel is located 6 kms from Bhimtal Lake, 4 Kms from Sattal Lake and just 13 kms from Nainital. The hotel is situated place perfect for adventure activities, honeymoon couples and weekend travellers. You can enjoy camping, para gliding, bird watching, jungle tours, Hill climbing, Horseback riding and rock climbing. The rooms in hotel Royal Court are fully equipped with air-conditioner, satellite television, intercom facility, data port, tea/coffee maker, refrigerator, ironing board, safe deposit locker, room heater and essential bathroom amenities. There are two restaurants De-Ra (serves a wide variety of Indian and International cuisines) and Tentara (rooftop restaurant) from which guests can enjoy the stunning atmosphere with the delicious meals. 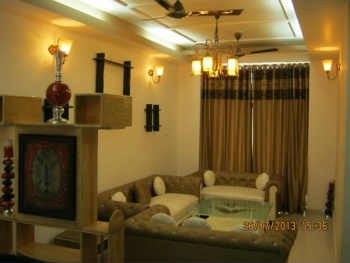 -Yoga classes and Yoga Meditation Centre facility are on request. -Trekking, rappelling and biking activities are arranged on request. - Welcome drink (non-alcoholic) on arrival. - Fruit Basket in Room once During the Stay. - All hotel Taxes are include. - Welcome drink on arrival, American/Indian Breakfast. - Tea/Coffee Kettle in the Room, Honeymoon Cake in room on arrival. - Flower Bed Decoration Once during the stay ( Subject to availability) . - Pickup & Drop to Railway Station OR Bus Stand. - Two half day local sightseeing by Individual Car. - Candle light dinner once during the stay . - Daily Kesar Milk for the Couple at Night . - Complimentary DVD Player in room for One day. - 10% discount on additional food, beverages and laundry. - Package extendable on Pro-Rata basis . The Royal Court hotel can easily be reached by car or bus from Haldwani, Kathgodam Railway Station and from Delhi NCR Region. The hotel is just 13 kms from Naini Lake and Nainital Mall Road, 12 kms from Nainital Ropeway, 18 kms from China Peak, 23 kms from Kathgodam.